Mutes in the Steeple is a short documentary film by Joshua Pritchard. 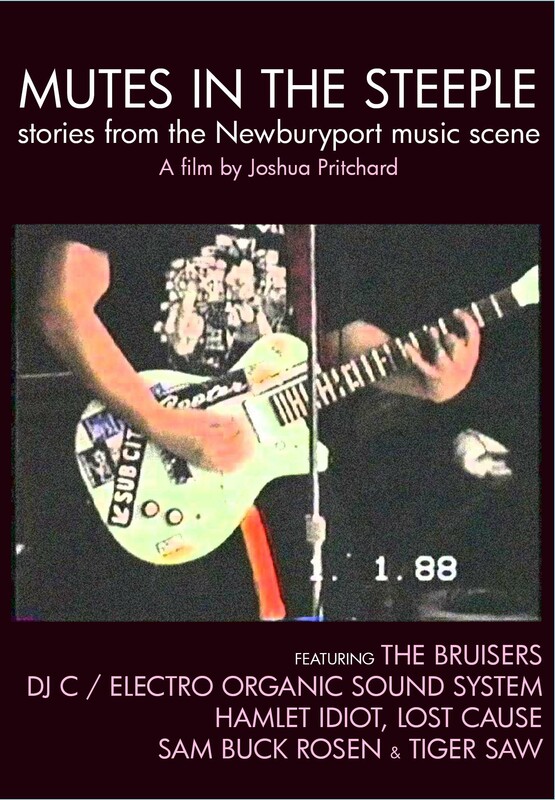 Available for the first time on DVD, Mutes in the Steeple was filmed in 2004, and provides an intimate glimpse into the homegrown DIY music community of Newburyport, Massachusetts. Through interviews and archival concert footage, a half-dozen key artists recount the experience of creative preservation in a crowded and often overwhelming musical world. Mutes features Jeff Morris, founder of the legendary punk rock outfit The Bruisers; Hamlet Idiot’s Gregory Moss; Jake Trussell (DJ C / Electro Organic Sound System); Tiger Saw’s Dylan Metrano; Julian Shea (Lost Cause / These Lies); Sam Buck Rosen, and others. The film tenderly maintains that no one making noise at home need feel alone in their endeavor to create lasting and meaningful music. The film was released on DVD by Burst & Bloom on May 15th, 2010.